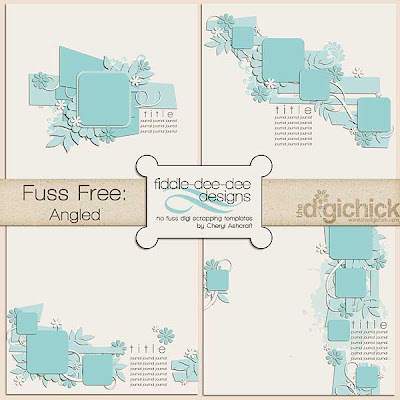 A new template set is available in The Digichick Shop today ~ on sale for a limited time. This set features odd bits and pieces of paper cut at angles contrasted with gently rounded photos. These angled paper blocks are my favorite thing to use in a layout right now. Hope you enjoy! Image is linked to the shop. Very cool Cheryl!1 I like these alot! !